Park City, Utah: Known by many as the home of the Sundance Film Festival, Park City offers majestic mountain scenery, exhilarating skiing and a quaint and historic Main Street with great dining, shops and galleries, long after the fancy movie stars clear out in January. Ojo Caliente, New Mexico: Fifty miles south of Santa Fe, discover Ojo Caliente Mineral Springs, where 100,000 gallons of geothermal mineral-rich water rise to the surface each day. 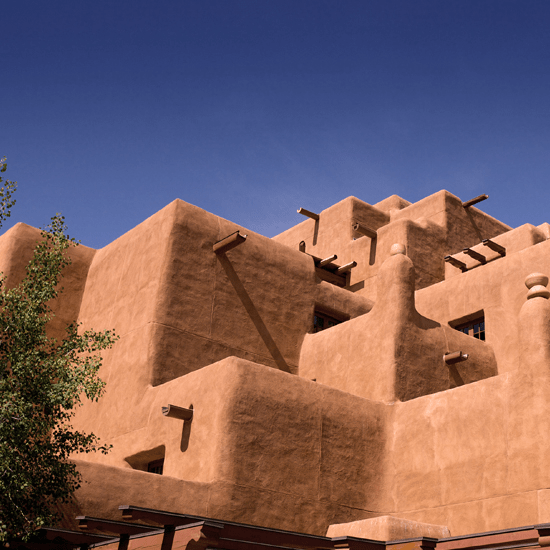 Treat yourself to rejuvenating spa treatments then travel north to Taos Pueblo, a National Historic Landmark continuously inhabited for more than a millennium. Yellowstone National Park, Wyoming: Equally glorious in winter as in summer, the world’s first national park offers endless selfies surrounded by snow-covered evergreens and brave winter beasts, including bison, elk and coyotes. Anywhere, Hawaii: Winter doesn’t mean all that much to the Hawaiian locals but it’s still paradise for the rest of us. Don’t miss humpback whale watching near the islands of Maui, Lanai and Molokai – one of the most mystical and emotional experiences you’re likely to have anywhere. And then, there’s always the beaches…Have you checked out the seriously cheap flights? Where are your favorite winter getaways? Share them in the Shop Talk blog community forum – and be sure to check out here and here for some more great escapes. We go to shows in the winter but they are local. We stay around home when it’s cold! I plan to visit with friends in the Ft. Lauderdale Florida area. I live in western New York so nothing around here is warm enough to get away from winter. Right now a vacation to the Caribbean sounds pretty darn good. It’s 9 degrees here in Pennsylvania. I’m not someone who likes to go somewhere warm in the winter! I love winter! I live in Oregon so I either like to STAY in Oregon or go somewhere else where it’s equally cold! I’m a cold weather person! So give me rain or snow! Our family likes to visit Orlando in late February to get some warmer weather and visit the theme parks when they are not as busy. Branson, Missouri is one of my favorite winter getaways. We live in Oklahoma so we can get there in less than a day. Branson is all decked out for the holidays and it is beautiful and lots of entertainment is at your fingertips.